Sky gives free Box Sets and film vouchers for Christmas | What Hi-Fi? It's the season for giving, and Sky has some nice presents for its customers. Christmas has come early for Sky customers. The firm is giving away free access to Sky Box Sets for customers who don't already pay for them, and film vouchers to those who do. If you don't already have Sky Box Sets, Sky will give you three months' free access from Christmas Eve. However they'll only be available in standard definition - if you want HD, you'll have to pay. 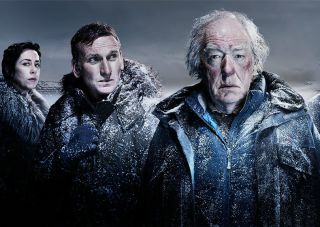 Eligible Box Sets include Grey's Anatomy, The West Wing, Modern Family and Sky's Arctic thriller Fortitude. The box sets will be available until 23rd March. After that date, any shows you downloaded will vanish from your collection. Already have Box Sets? You won't be left out. Sky is giving these customers a Buy & Keep movie voucher for use in the Sky Store. This means you can buy recent films like Finding Dory and Suicide Squad, or festive favourites like Home Alone and Miracle on 34th Street. You'll have to redeem the voucher before the end of the year. You'll receive the voucher either by email or post. Enter the unique code from it at skystore.com/redeem to claim your free film. With Buy & Keep you can watch the film on your Sky box or device of choice right away but you'll also receive a DVD (not Blu-ray) copy of the film in the post. The vouchers are being sent out from today, so keep your eyes peeled on your post box and inbox. Find out more about Sky Q here.